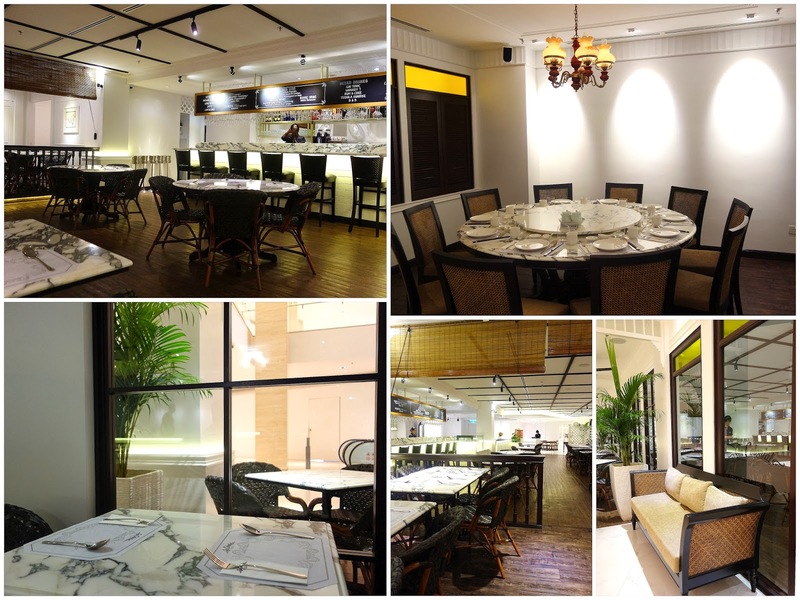 In Colonial strives to rekindle a sense of old-world charm amid the modern bustle of The Intermark commercial tower; it's a soothing space, tucked in a hidden corner, with a friendly team that serves Malaysian-Chinese food with a few fun flourishes. ... & the "chicken in blankets" (RM18) _ chicken sausages coated in strips of chicken wing meat. The rest of the menu ranges from fresh oysters cooked with ginger in clay pots to fish steamed in lotus leaves & rib eye of beef with crispy mint leaves. Tempting, though budget-conscious customers might want to aim for In Colonial's lunch deals instead of its a la carte selection. Have a gin & tonic or a glass of crisp Chardonnay; wine by the glass starts at RM22. Food looks good but can't say it's colonial...and the place does not look very colonial either. What a lovely place. I love the marble tables. It is pretty expensive to buy prawns nowadays, but RM48 seems really steep for the small portion. But it does look yummy! Woah crazy prices.. ... I'll personally favour the squids and i do like the chicken wing wrapped sausage - meat on meat - yums! Amazing blog. I just spent the last hour going through some of your experiences. I live in NY but I'll be in KL for a couple of days in September. I would LOVE IT, if you would be so kind as to give me your thoughts on a few must visit places for food. I'm not looking for big, expensive places. I prefer smaller, hole in the wall or local joints that are somewhat on the cheaper side - preferably serving Malay, Chinese or Thai. thanks Sean. i will definitely check our Jalan Alor. other than the street food scene, are there any other specific restaurants that you would recommend? Wahed: some of the conveniently located mall outlets do serve a good variety of local food. 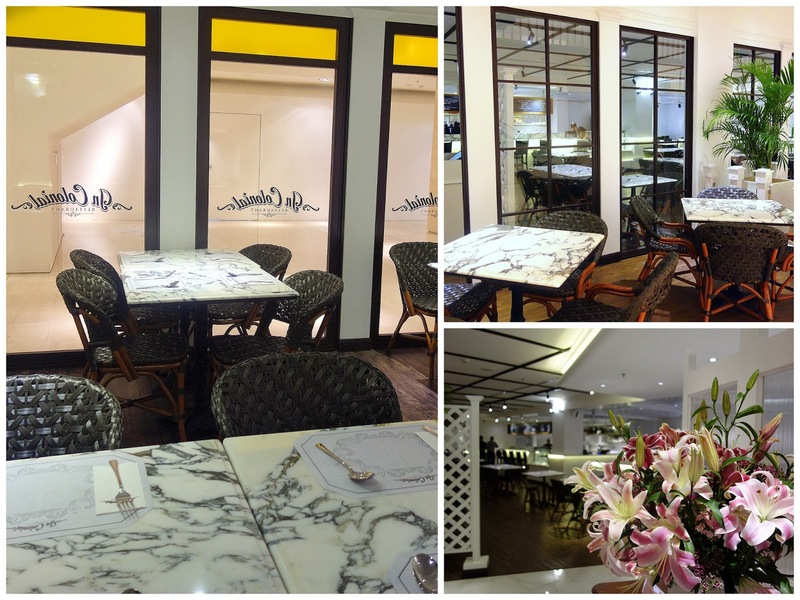 two favourites are little penang kafe & madam kwan'sm both at klcc. 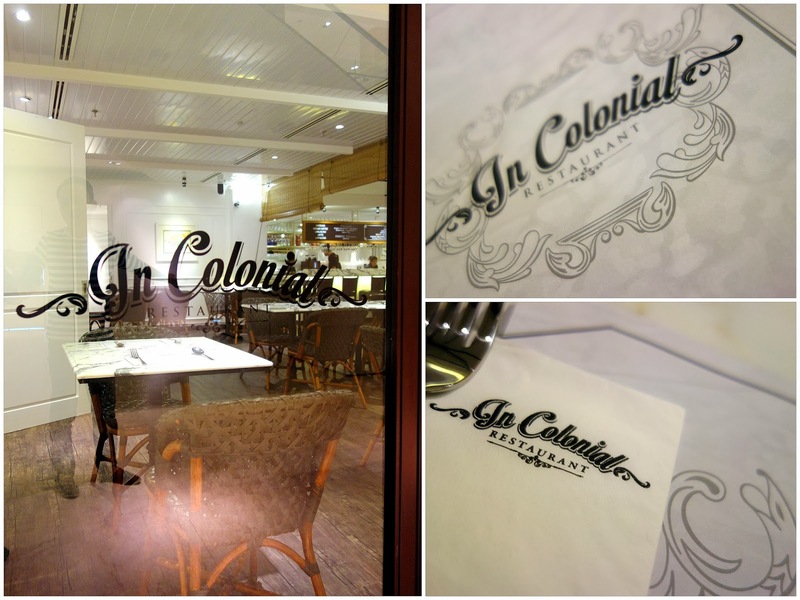 IN Colonial has designed 10 sets of Lunch Delights, ranging from RM 22.00 onwards up to up RM 38.00. Try the sweet and sour chicken with rice for RM 23.00 or the Black Pepper Chicken. Now a days there late lunch package is very famous one side dish, one mian course and a drink just in RM 18. quite delicious.